I have just returned from my Vietnam vacation. It was my first time there, so I would say my trip was an overview to gather intel on what you can incorporate into your own trip. 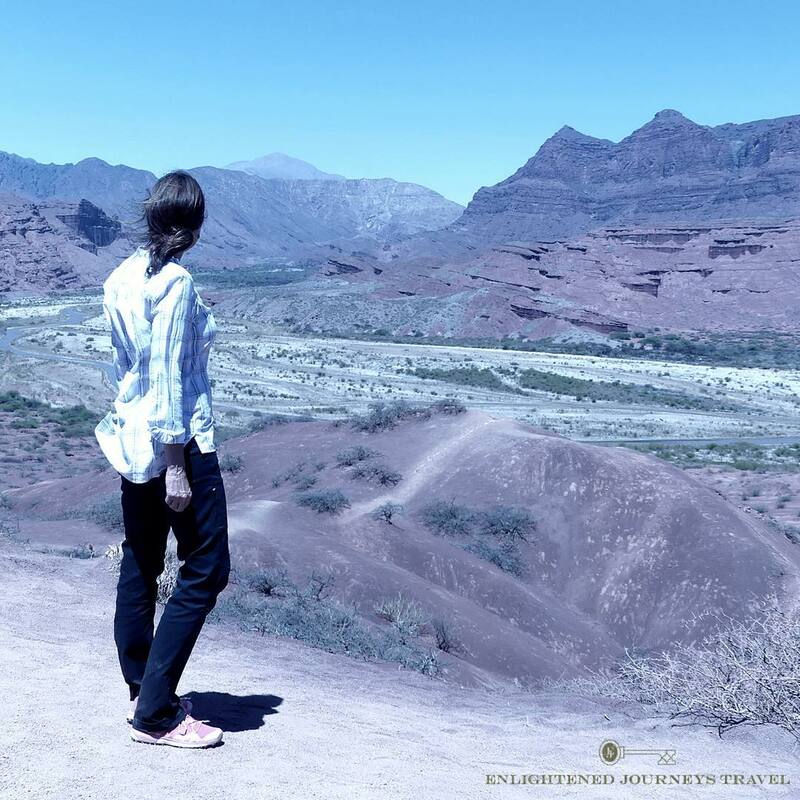 I looked for experiences around the interests of history, architecture, relaxation, ecotourism and adventure. 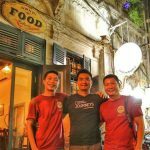 What are some major areas or cities I can or should plan to see in Vietnam? This depends upon your time and interests, but in my 2 weeks’ trip, here are the places I went. I will say it was a bit of a rush; I would have liked to have spent more time in some areas. So your itinerary would be custom designed for you. This major northern city is a must for history and culture. It is a great introduction to many things you will see throughout the country and get a sense of how the country lives and how it has evolved. It is a very busy city, with streets jammed packed with bicycle vendors in the traditional conical hats and tons of motorbikes carrying individuals on their way to work, couples out for errands or entertainment, families of all sizes (yes, I say 5 on one!) and delivery people with everything from produce to large appliances stacked on top. Crossing the street is an art, and paradoxically I learned it is best to cross deliberately rather than trying to run and dodge. The city is incredibly green. The sights and smells are exciting. Families of shopkeepers have their homes built on top of their shops or restaurants. 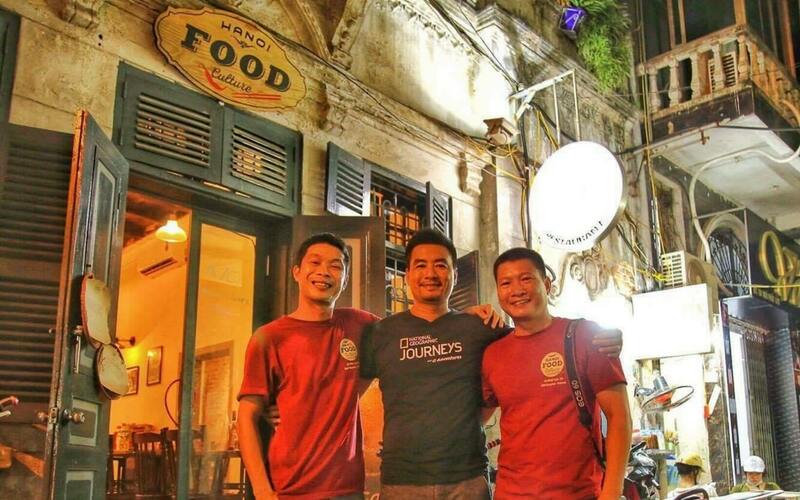 In addition to the historical and cultural sites, one should take in the daily life in Hanoi on a street food tour. The Old Quarter is filled with exciting smells from food prepared in pots and pans right on the sidewalk. extensions of food stalls and restaurants. Small plastic tables and chairs seemingly for Kindergarteners are set out for dining. Real estate is at a premium, so lots are narrow in front and long in back. Families of shopkeepers have their homes built on top of their shops or restaurants. And when the family grows? Floors are added and walls added to create apartments for married children’s families. I loved this about the culture: families stay together! Much of what is seen and heard in Hanoi carries on throughout the country. This is the imperial city and gives a great sense of life and times of the Nguyen dynasty. Great for coastal exploration. There are wonderful resort hotels in the area. Though very touristy, it is a local holiday favorite as well. Located along a river, the city is best described as quaint with pedestrian-only streets in its center of Chinese, Japanese and Vietnamese-inspired dwellings. The streets and shop exteriors are decorated with colorful paper lanterns which, when lit at night, add to an air of constant celebration. It is known for its tailor- made clothing opportunities. I had a few pieces made, and a dress form in my measurements is saved at my favorite tailor’s shop for future designs. The city is a modern and prosperous wonder, filled with companies that have brought foreign business to the country. Exploring outside the city, the prosperity is apparent in the rice paddies and produce farms of the Mekong Delta. A trip on the Mekong is a must to explore the small communities of the area and the lifestyles of a rural people, and beautiful landscapes and nature. This river can be cruised into Cambodia to extend your trip if you want. Experience some of the interior. I went to an ecolodge in the northern mountains for tranquil beauty and adventures. To experience more of Vietnam, it is important to get out of the cities to explore the countryside. You may what to spend the day or an overnight or two cruising in Halong Bay. I also went into the mountainous region north of Hanoi to a tranquil ecolodge in a rice-paddled valley surrounded by lush green mountains. 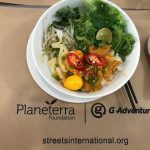 What adventurous activities can I do during my Vietnam vacation? Anything you like to do, you can do in Vietnam! I met serious backpackers and day hikers who were traveling from homestay to homestay. We saw biking groups negotiate some challenging hills in the countryside. 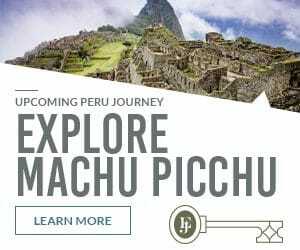 On my own dream trip, I rode a bicycle, between a series of villages, through the rice paddies past workers with their oxen plowing the water-filled beds and their houses on stilts. 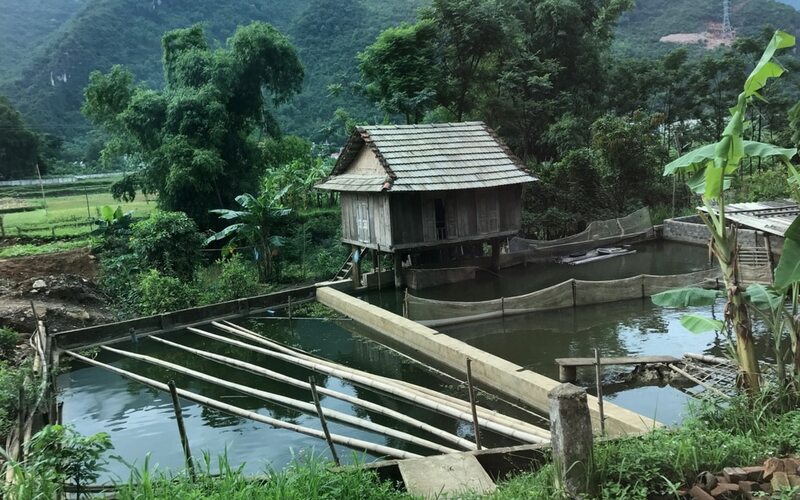 I took a motorbike tour from Hue into the countryside for an exhilarating exploration of rice paddies, small villages, an overlook of the Perfume River from a U.S. bunker-covered hillside. Tuk tuks are great for the whole family in the big cities – the traffic and especially the roundabouts feel like death-defying feats (they are not), but it is a great way to see the sites. An few overnights on a boat in Halong Bay with various water sport opportunities is serene in nature and surreal in its landscape of pointy islands inhabited by adorable families of monkeys that you can see from your kayak. As mentioned before, I am a bit of a shopper, and shopping is an adventure in Vietnam! I loved the shops in Hanoi, the tailors in Hoi An and the handicrafts of local minority populations deep in the countryside. How do I get around Vietnam? Many choose to take a portion of their trip by motorbike through the countryside or drive by car. Of course, I saw hikers going from homestay to homestay for those who like to “rough it”. Being driven was my favorite way to go because I got the freedom of just looking- and asking endless questions of my guide. Flying between major areas is a must to maximize your time. So, what about the food? Oh, yes! 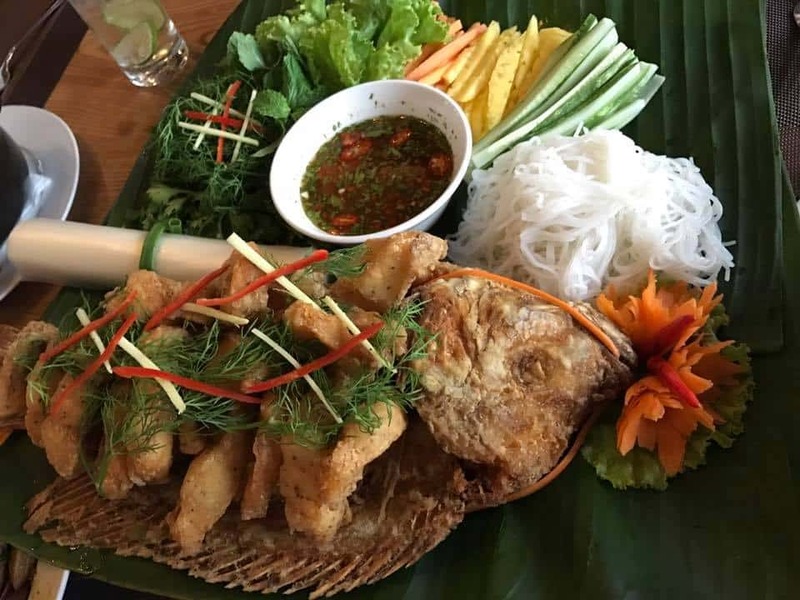 Vietnam is a FOODIE DESTINATION for sure! Each city and location has its own specialty or regional cuisine – I even had Thai in a minority village in the mountains. Pho is prevalent and comes in an array of varieties. I loved that in the cities, restaurants or street cookeries featured ONE item they were renowned for- and had been doing it sine “before the war-time”, so many for over 40 years! Pull up your child-sized chair and dig in! Authentic cao lau, a dish of fresh greens, barbecued smoky pork and cracklings is found in Hoi An. 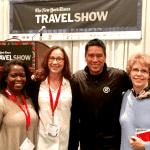 Walking food tours are a must in the cities. I went on a few; standouts were in Hanoi and in Hoi An, where I also took a cooking class in this gourmand capital. 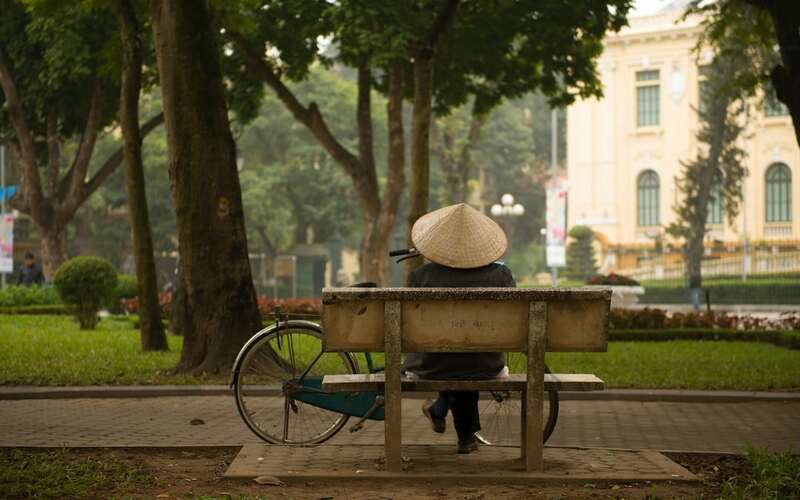 What was my most memorable moment on your Vietnam vacation? While it is my avocation to make sure my clients have their most memorable moments, for me it was the surprise of hope that local social enterprises provide for the disadvantaged in society. 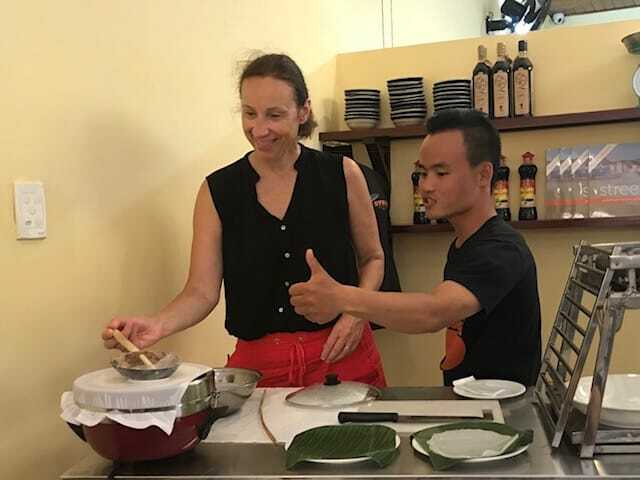 I immersed in several local-provided activities and excursions along my journey, like the Planeterra “Oodles of Noodles”, or the Hanoi Food Culture projects, while being connected in extremely heart-felt ways with people like Zoom Zoom. Some of these should definitely be incorporated in your own trip to Vietnam.